The first confirmed Quarter Final match of the 2018 World Cup kicks off today. The current Uruguay vs France odds have La Celeste at 7/4 to qualify for the semi-finals, whereas Les Blues are currently 2/5 to progress to the last four. France are currently trading at odds of evens to dispatch of Uruguay within 90 minutes. Uruguay are priced up at 16/5 to do the same, whereas the draw which takes the game to extra time is priced at 21/10 which is our prediction. In terms of correct score betting, the futurologists within the William Hill trading team see a 1-0 win for the French as the most likely result, pricing it up as 4/1 favourite, with 1-1 next shortest at 24/5, then 0-0. Les Bleus have a superb record against South American teams at the World Cup (more of which in the match stats section below) and have the quality get past their adversaries in regulation time. William Hill’s Lee is betting that will be the case but that France will need extra-time to take this one home. Lee also suggests Mbappe will be the man to open up this stringent Uruguay defence. The PSG forward played a part in three of France’s four goals against Argentina last time out, drawing the penalty Antoine Griezmann converted before bagging two of his own. Mbappe is 9/5 to strike anytime against Uruguay. Staunchly against Lee’s prediction is DK who reckons Le Bleus won’t be afforded the same space they had against Argentina. He is instead gunning for a Uruguay win. Didier Deschamps’ full-back resources may be further depleted after Monaco man Djibril Sidibe reportedly limped out of training on Monday morning. The France coach had already been unable to call upon Benjamin Mendy for the round of 16 win over Argentina and the Manchester City man is understood not to have trained the day after that fixture either. Les Bleus will be also without the suspended Juventus midfielder Blaise Matuidi after he picked up his second yellow card of the tournament against Argentina. 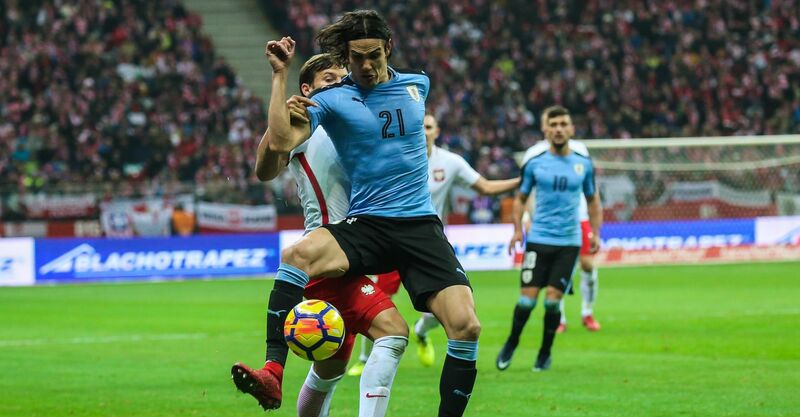 Oscar Tabarez and his team had been sweating on the fitness of Edinson Cavani after the Paris Saint-Germain striker limped off against Portugal with a suspected hamstring issue. It was feared Cavani may have suffered a muscle tear, but an MRI scan on Monday revealed this not to be the case. A spokesman for the Uruguayan football association (AUF), revealed the player is still in pain, but is working on ‘physical rehabilitation to control the injury’s development’. There remains no suggestion as to whether he will be fit to face France. On Tuesday evening, various news outlets (the report appears to have originated from Marca) reported that Luis Suarez had hobbled out of training with an injury to his right leg, although the Barcelona striker was later able to return to the session. Edinson Cavani scored his 44th and 45th goals for Uruguay against Portugal. A dozen of those have been set up by Luis Suarez. Since 1966, only Grzegorz Lato & Andrzej Szarmach (five for Poland) and Michael Ballack & Miroslav Klose (five for Germany) have combined for a greater amount of World Cup goals than the Celeste pair. If Cavani isn’t fit enough to start and Tabarez wants to continue to play two up front, he will need to call upon either Cristhian Stuani, Maxi Gómez or Jonathan Urretaviscaya, who have a combined five international goals between them (all notched by the former). Stuani’s anytime scorer odds are 3/1. Antoine Griezmann has been this side’s go-to guy in major tournament knockout action, bagging six times in his last five such ties, making the Atletico Madrid man to score in a win for France the betting pick at odds of 13/5. France and Atletico Madrid forward Antoine Griezmann has bagged six goals in his last five outings in the knockout stages of major tournaments (World Cup and European Championships). He’s 9/5 in the anytime scorer betting. Benjamin Pavard’s goal against Argentina, was his first for France in his ninth appearance for Les Bleus. He can be backed at anytime scorer odds of 14/1 to bag against Uruguay. Is France’s goal-drought striker Olivier Giroud their unsung hero? The Chelsea forward’s magnificent hold-up play and perfectly weighted pass to Mbappe sealed the win for France against Argentina, sparking a debate over his importance to the side. Giroud’s role in Mbappe’s second strike, as well as his stats from that game make for an interesting read. The 31-year-old had one shot all game, created a goal and only lost the ball once. A reliable goal-contributor at this tournament, he is not, but the fulcrum of the attack and a foundation to build from, he certainly is. 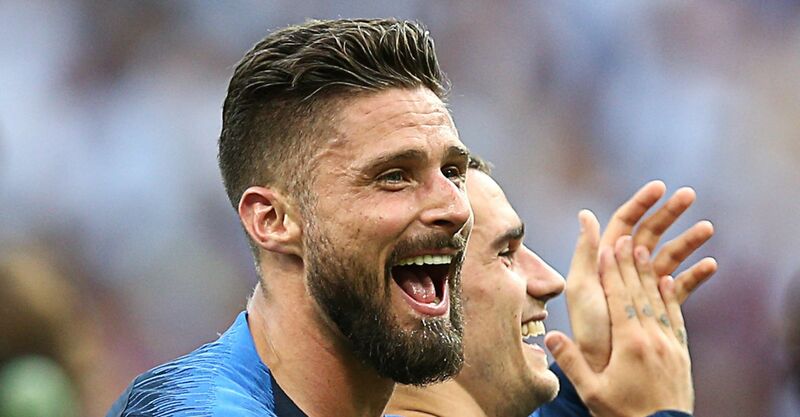 Giroud has brought a structure and flow to France going forward that they had previously lacked. Deschamps had struggled to find an equilibrium amongst his strikers prior to the tournament and during the World Cup opener against Australia. The 6’4″ target man came on as a substitute against Australia with the game tied and provided one of his customary knock-downs for Paul Pogba to win the game. His reinstatement in the France starting XI against Peru necessitated a switch from a 4-3-3 to a 4-2-3-1 formation which has remained the system since. Although the former Arsenal forward hasn’t scored in his last six games for France – his worst run for the side since a five-game blank in 2015 – he has been France’s most creative player at the World Cup. Despite being a forward, his 1.3 key passes is matched only by creative midfielder Paul Pogba amongst Les Bleus’ squad. Our prediction and betting tip is Olivier Giroud to assist anytime at 3/1. Uruguay head into this match having won their opening four games of a World Cup since 1930, with the fourth game in that run being their 4-2 victory over Argentina in the final, finishing as world champions. Pepe’s goal against the Celeste in their 2-1 round of 16 win over Portugal was the first they’ve conceded in the tournament, breaking a six game run of clean sheets dating back to March this year. “Uruguay have so many assets, so many qualities. They defend as a unit, they play together and they love to do that,” Deschamps said. Tabarez’s troops remain on a seven game winning streak and they can be backed to win to nil at odds of 24/5 or to keep a clean sheet at 9/4. France are unbeaten in their last nine World Cup meetings with South American nations, winning five and drawing four since losing 1-2 against Argentina in the 1978 tournament. They also kept clean sheets in seven of those games. Les Bleus have progressed in four of their last five World Cup quarter finals, with the sole exception being a 0-1 loss against Germany in 2014. Not only that, but they’ve won six of their last seven knockout matches at the tournament (excluding the final), losing the other. All seven were decided within 90 minutes. The sides played each other twice in friendlies between 2012 and 2013, resulting in a 0-0 draw and a 1-0 victory for Uruguay. Under two goals in normal time is our tip to back at odds of 13/10.